Part of the ‘lost’ Count Zborowski home movie shot in the summer of 1924 by Sydney Bligh. This is an out-take from the film which was made in the style of Hollywood movies of the time. 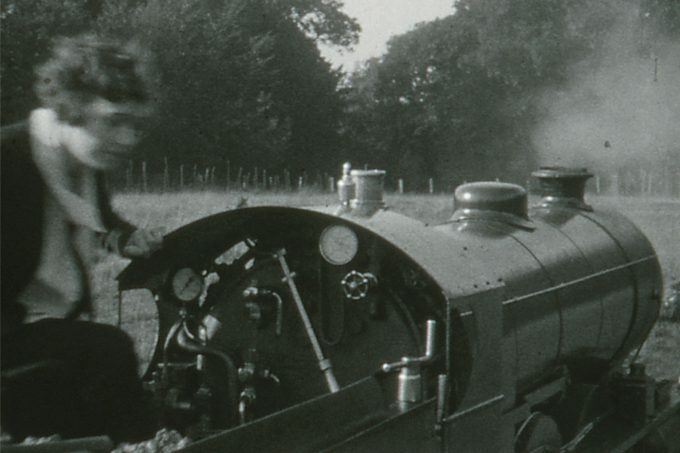 This clip features the locomotive built by Bassett-Lowke for the Count for which a private mile-long 15″ track was built around the estate at Higham, just outside Bridge. 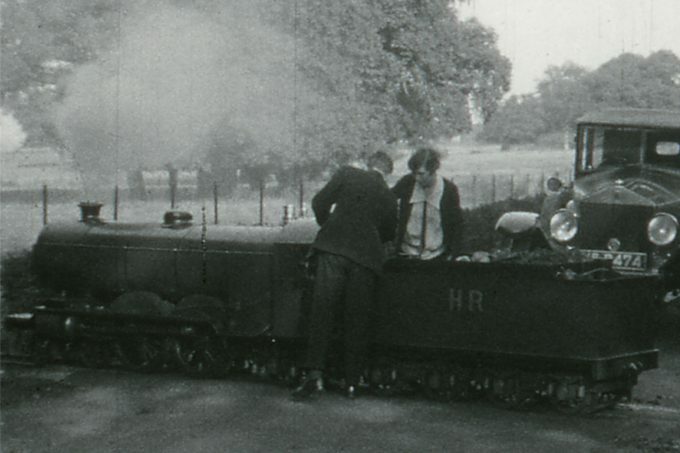 This was the precursor to the Romney Hythe and Dymchurch railway. The shot shows Barham Downs in the background which had been a golf course and previously a racecourse. I am currently editing the Count Zborowski home movie, adding inter-titles to help convey a coherent narrative and piano music to suit the silent era period.